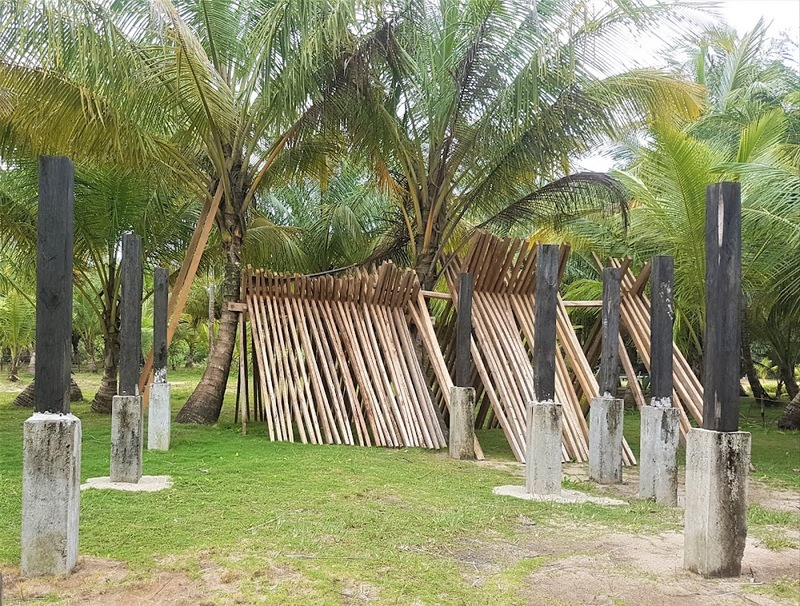 At the start of this project there were no fences...and no clearing, no papaya trees, no buildings, no newly planted coconut palms, no wells, no banana trees, no dock, no open creek. Opening the creek to boat traffic has increased the number of people who travel out to this remote piece of beach and quickly made 'remote' an almost obsolete term because we're only eight miles from Bluefields and now getting to the beach is easy. Some of the people who come out to False Bluff aren't property owners but instead remove things that belong to property owners, me included. The sections of fence that we've put up certainly don't keep out anybody who's determined to trespass onto private property: it simply defines boundaries. The first section went up around the area where my staff lives and where most of the project work has been done to date; it went from the pier east to the beach and then north along part of the property line. The second section went from the pier east to the beach and then south along the boundary of that section of property. A wide pathway is been left for public use...a pathway cleared of scrub that goes directly to the beach from the now open creek.